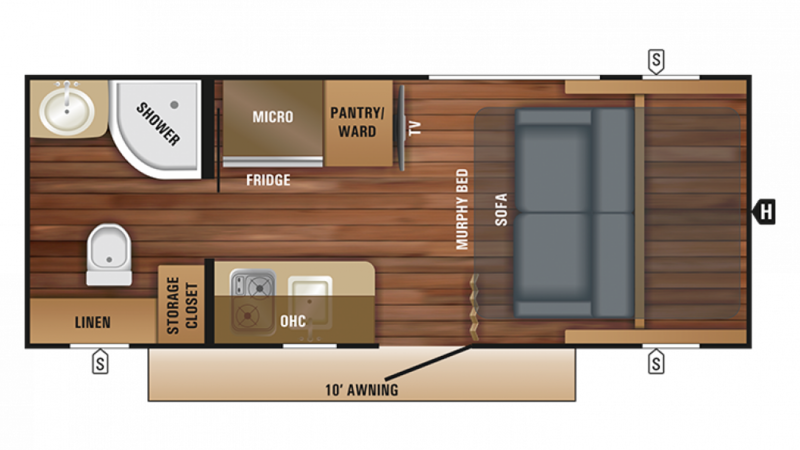 Have a super RV adventure in this New 2018 Jayco Hummingbird 16MRB Travel Trailer. 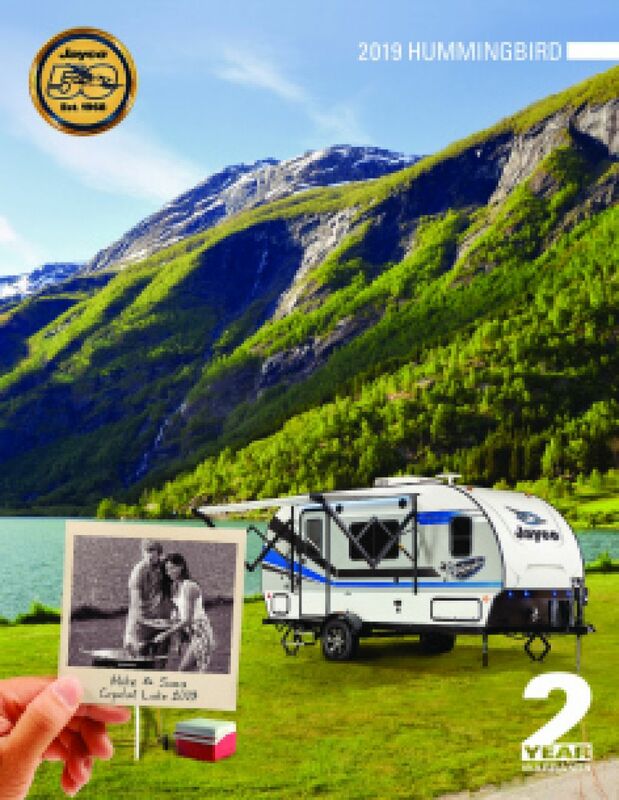 At Tradewinds RV Center, we offer some of the lowest prices in the nation on all the top brand RVs in our large inventory. 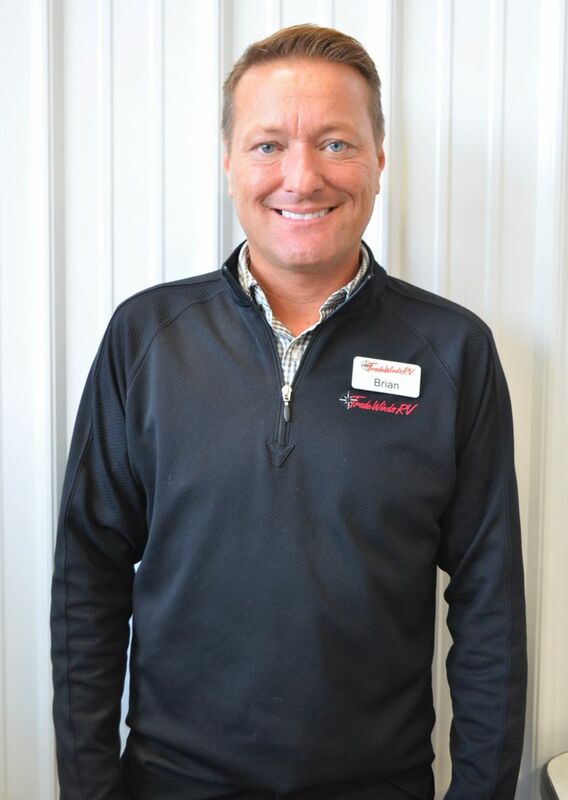 And with our exceptional customer service, we're frequently named as one of the top RV dealers in all of Michigan - and the nation! So stop on by 4325 W Vienna Rd Clio Michigan 48420 or call us at 810-686-0710 to learn more about this terrific Travel Trailer! Don't live in the Clio area? That's no problem! We have fast, reliable 24/7 store-to-door delivery anywhere in North America! You'll save $1000s and be on the road to adventure and fun before you know it! This Travel Trailer has a hitch weight of 340 lbs. and a GVWR of 3750 lbs, making it easy to tow and sturdy enough for the whole family - and more! Stay cool in the shade of the 10' 0" patio awning. You'll love the exceptional comfort of the master bedroom! It's roomy, private, and holds a spacious Murphy Bed bed! It's not the only place to catch a good night's rest, though. This cozy camper has enough sleeping accommodations for up to 2 people! Sure you can find fast food, or maybe survive on s'mores and wild berries. Or, you can enjoy healthy, hearty meals at any time! The kitchen grants you access to a wealth of modern cooking appliances, including the 3.00 cu. ft. refrigerator and the 2 burner range cooktop! You'll have plenty of water for the trip too when you fill up the 26 gallon freshwater tank!